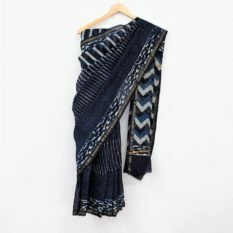 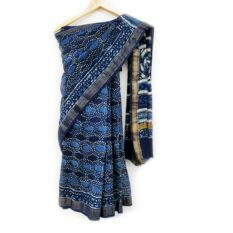 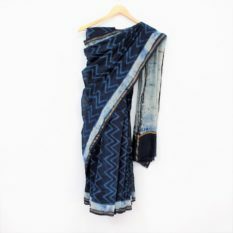 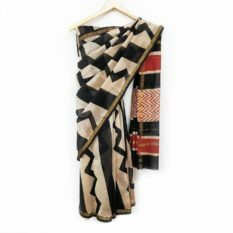 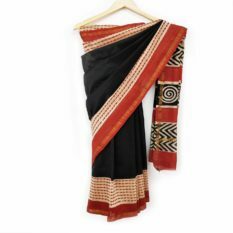 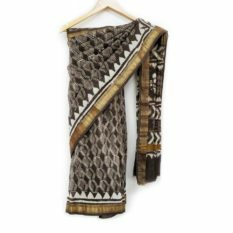 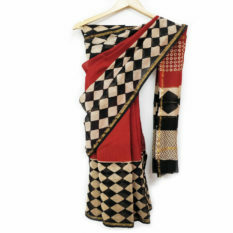 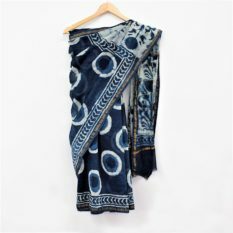 All the Bagru Prints display an extensive variety of Colours Traditional shades of colors and designs created by Skilled Chippa Community people. 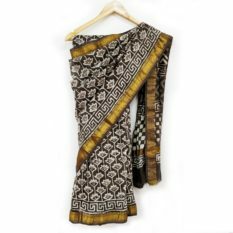 The Creation of rich and wide range of print designs is a result of careful Stamping by Wooden Blocks made of dried woods of plants like “Shisham”, “Mango”, “Teak”. 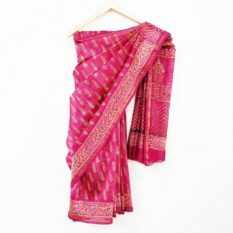 The Well Proportionate Floral Motifs of Bagru Dabu Sarees are Essential of Fast Colors. 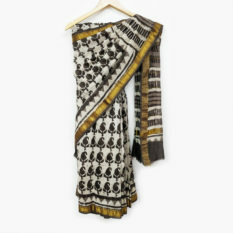 The Base colour is off White or fawn with Motif prints of one or more of Butis, Butas, Jhar or Border. 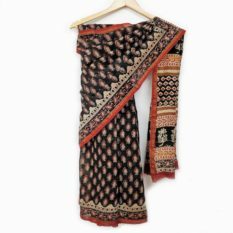 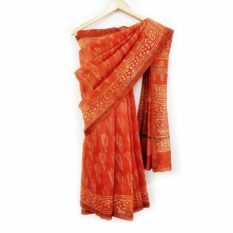 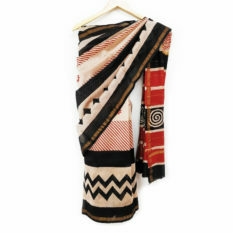 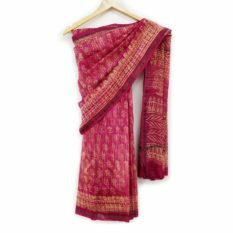 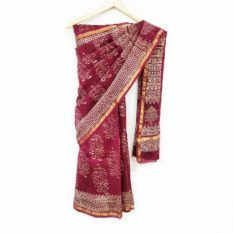 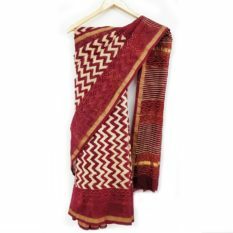 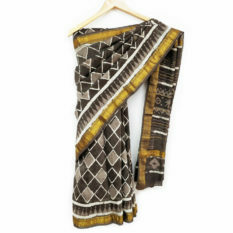 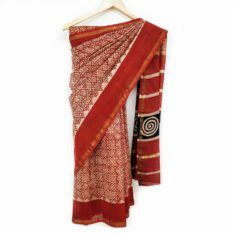 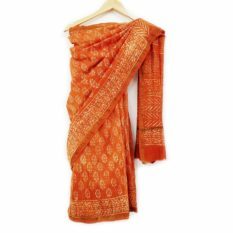 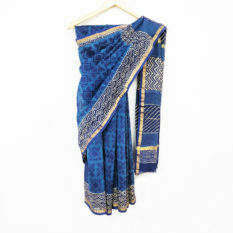 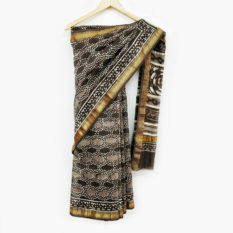 All the Bagru dabu Hand Block Printed Sarees are designed and colored beautifully harmonized on the same piece of cloth. 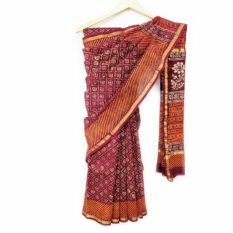 Manufacturing of Bagru Dabu Sarees Still continues to adopt 11 Intricate Steps of Production like Preparation of dye mixtures, Pre & post-treatment of cloth for printing & finishing.